Simple to use yet extremely convenient. Designed to protect you and your clients from the accidental hair damage when applying hot fusion hair extensions. The fusion method can be quite tricky and complicated at times and it requires a lot of concentration. Small strands of hair are used, and a keratin tipped extensions are glued on it with a special fusion wand. The wand heats up the glue in order to connect it to the hair. The fusion clamp and the glue are very hot and it can be very uncomfortable if it comes in contact with your client’s head or damages their hair. If you don’t use any protection, the fusion process can get quite messy and even dangerous. Individual strands of hair will get in your way and the result won’t be that good. 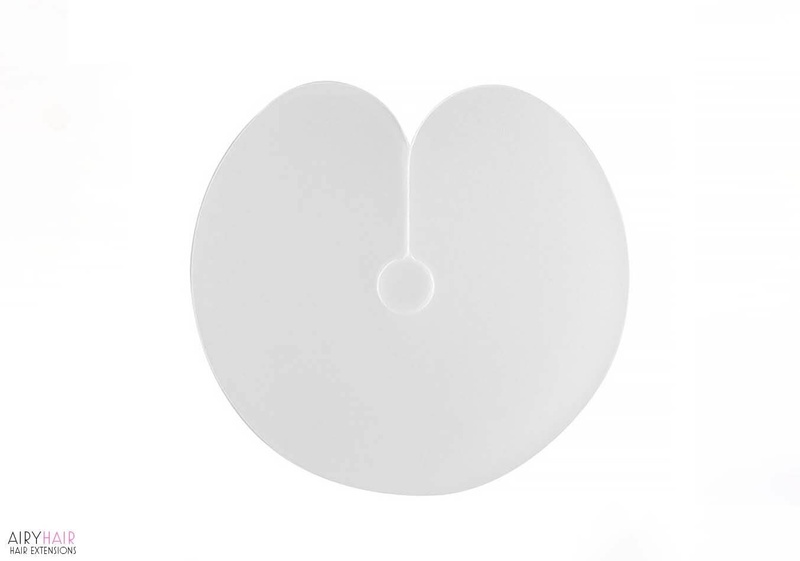 If you use this shield, the application process will be much neater and easier for you. Your clients will also be more satisfied because they will get high quality fusion extensions and that’s probably something you strive for. Repairing damaged or glued hair not only costs time and money but also can damage your reputation (assuming you work at a hair salon) or just ruin your mood. Bad extensions application is not something you want and you could lose your client’s trust. As a professional, you have the responsibility to ensure safety and satisfaction of your clients. With prices as low as few cents per piece, there is really no reason not to shield your or your client’s hair. It is always better to be safe than sorry, so make sure to stock up on AiryHair heat protectants. 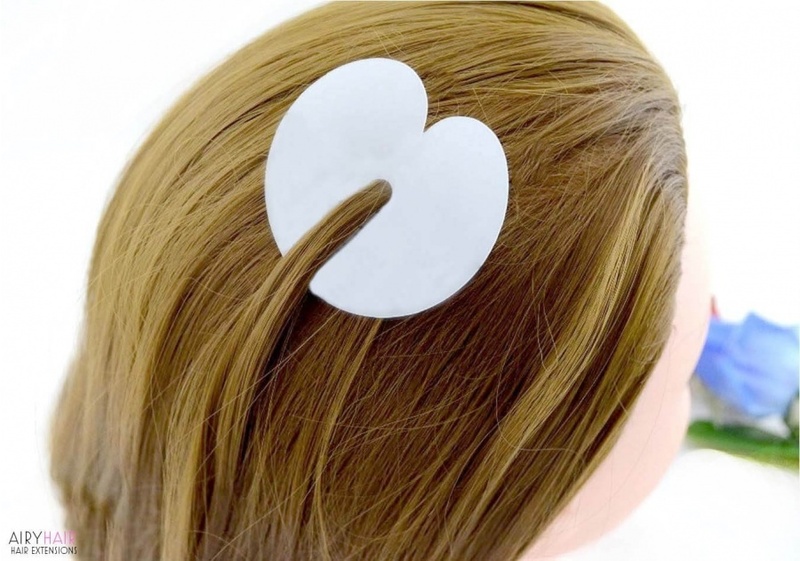 How to Use Hair Heat Protector? The way that you use our AiryHair protectors is actually very simple. Once you’ve separated one strand of hair, put it through the shield and move it up to the roots. Now you can take the extension piece and fuse it with your hot wand. The process is pretty straightforward, but it requires a lot of time and patience to ensure the best results. The hair protector also keeps the rest of the hair away while you’re applying fusions which is very important. Thank you for your interest in our hot fusion hair extensions shield protectors. Please select the desired shipping method offered by AiryHair. • Free international shipping: order your glue protectants right away in order for your package to arrive within 10-20 days. • Express shipping: if you’re looking for an extremely fast shipping method, choose this option. Your heat shields will arrive very quickly, in just one to five business days.